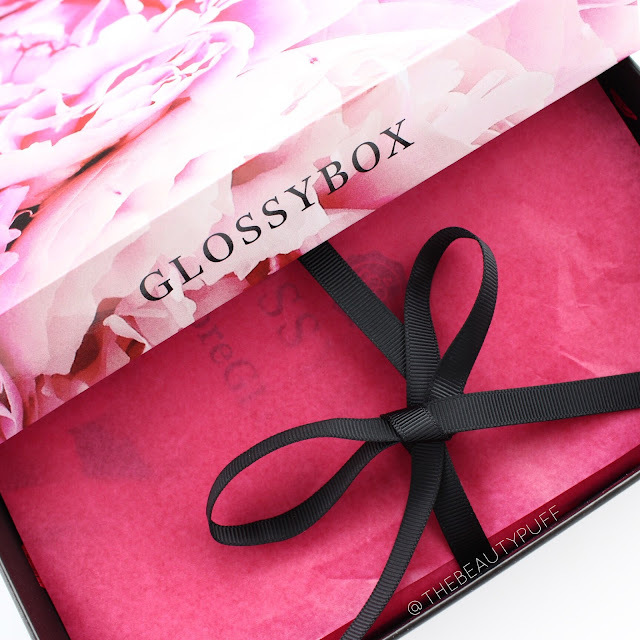 Glossybox is a beauty subscription featuring five deluxe or full size products. If you've delved into the beauty subscription world you most likely recognize the luxurious packaging and presentation of these boxes. It's literally like getting a gorgeous gift each month. Everything is meticulously wrapped and comes with an information booklet so you can read all about your new products. Not all boxes are the same, but there are certain items found in every box. I'll note those below. Let's get into the goodies! 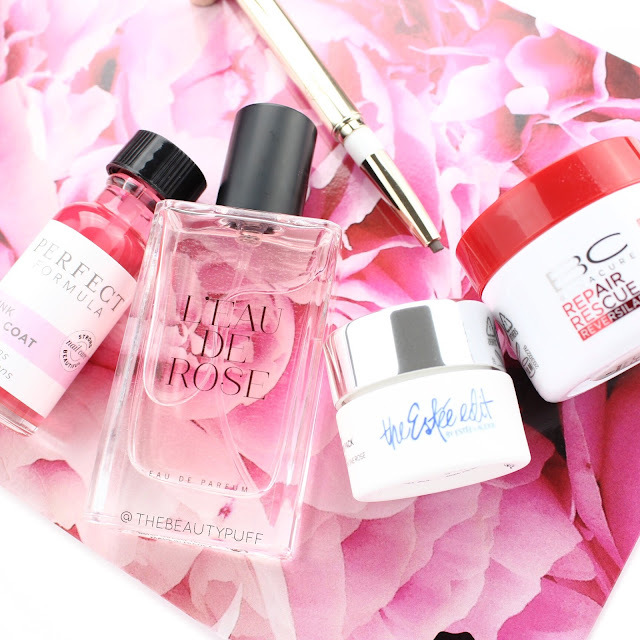 Estee Edit Pink Peony Overnight Water Pack | $7 | This water-gel mask will be the last step in your nighttime beauty routine. It provides hydration and antioxidants to reveal brighter, more luminous skin in the morning. Key ingredients include goji berry, blueberry, cranberry and hyaluronic acid. This item can be found in every box. Perfect Formula Pink Gel Coat | $30 | This full size gel coat can be used on natural nails to strengthen and protect with keratin. Simply apply one coat to clean nails prior to your nail color or use on its own for a simple polished look. This item can be found in every box. 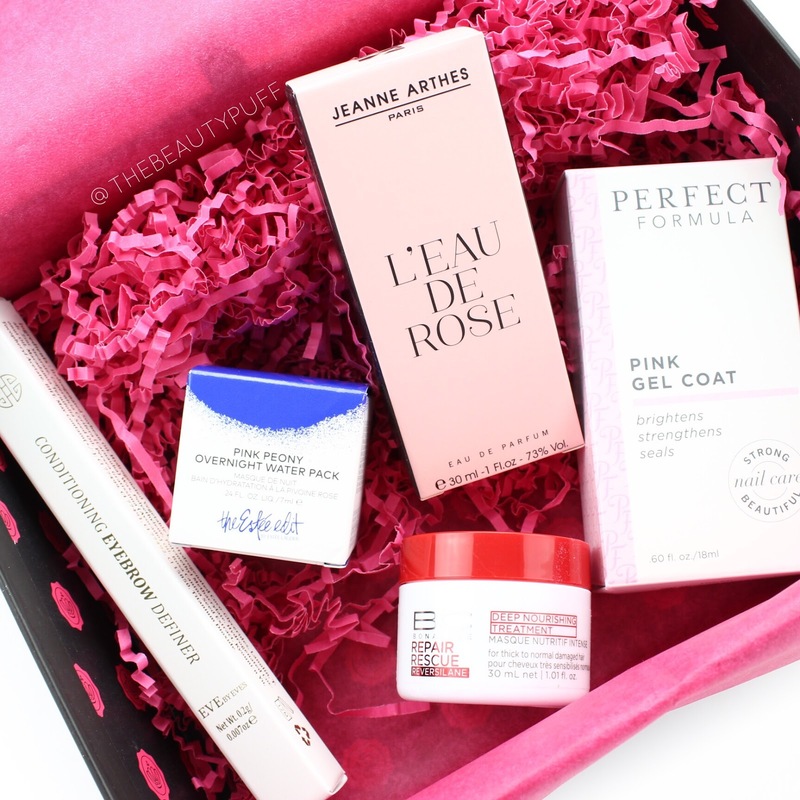 Jeane Arthes L'eau De Rose Eu De Parfum | $26 | I love getting new scents in beauty boxes, especially when they're full size! L'eau De Rose is a delectable rose scent that was made exclusively for Glossybox. The scent is so romantic and floral. Definitely a perfect scent for Valentine's Day and as we head into spring (which can't come fast enough). This item can be found in every box. Schwarzkopf Professional BC Repair Rescue Deep Nourishing Treatment | ~ $3 | Subscribers received one of four haircare items from Schwarzkopf this month. I received the Deep Nourishing Treatment which helps replenish hair and reduce breakage. Definitely a good product to have on hand this season! Eve by Eve's Eyebrow Definer | $19 | Subscribers received one of six Eve by Eve's products this month. I was really excited about getting a brow product because it's something I'm always going through. I love the sleek packaging design of this definer with a spooley at the opposite end, making it perfect for travel. The brow definer itself is formulated with rosehip oil, macadamia seed oil, avocado oil, apricot oil and vitamin E. You get definition and conditioning all in one step! This is definitely a favorite for me. Subscribe to Glossybox in the month of February and receive a FREE full size Icona Milano Mascara valued at $19. Just use code EYEADORE at checkout. Monthly subscriptions are $21/mo with discounted rates for 3, 6 and 12 month plans. Subscribe below!